Matthew Jose is a renal physician at the Royal Hobart Hospital and Professor and Chair of Medicine at the University of Tasmania. 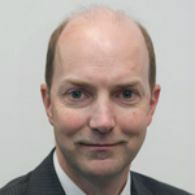 He undertook nephrology training in Adelaide and Christchurch, New Zealand, completed his PhD at Monash University, has worked as a transplant nephrologist at Monash Medical Centre, Director of Renal Services for the Northern Territory and then Head of Unit and Clinical Director of Medicine at the Royal Hobart Hospital. Professor Jose currently chairs the ANZDATA Steering Committee and the Peritoneal Dialysis working group of the Australasian Kidney Trials Network (AKTN), is a member of the APSN Continuing Medical Education (APSN-CME) Committee, is the lead physician for the Tasmanian Young Adult Kidney & Transplant clinic and is currently on sabbatical, learning about transition care for young adults with kidney disease.